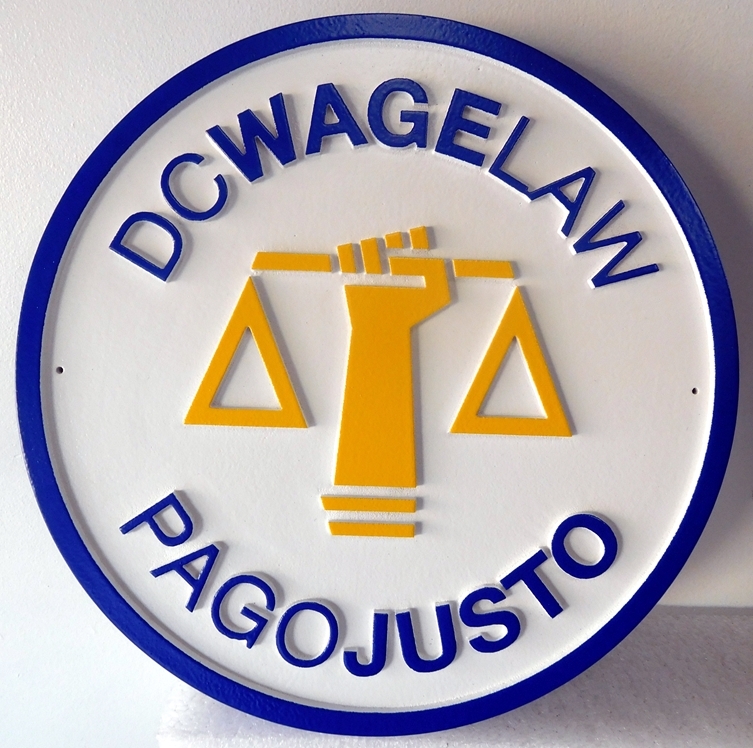 Above is a carved HDU sign or wall-mounted plaque for a Law Firm dealing with equal pay for Spanish-speaking workers. The signed features a bright yellow unique logo of the Scales of Justice with a right arm raised in strength. The text, borders and logo are carved in raised (2.5) flat, relief. The sign was painted in automotive-grade, long-lasting Matthews paints. Finally, two successive applications of highest quality Matthews clear coat were added for improved durability and UV protection.